In our last blog we discussed the 10 best birdie chances at The Pearl Golf Links. Now we will tell you which holes to hold on for dear life at The Pearl Golf Course. Every good golf course will have a handful of good birdie chances as well as a handful of very challenging holes. The Pearl golf course is no different, both the East and West golf courses feature a number of holes that will challenge even the most accomplished golfer. Hole #6 Pearl East Par 4 – When discussing the Pearl’s most challenging holes, #6 on the East course is where you have to begin. This is rated as the #1 handicap hole on the course for good reason. 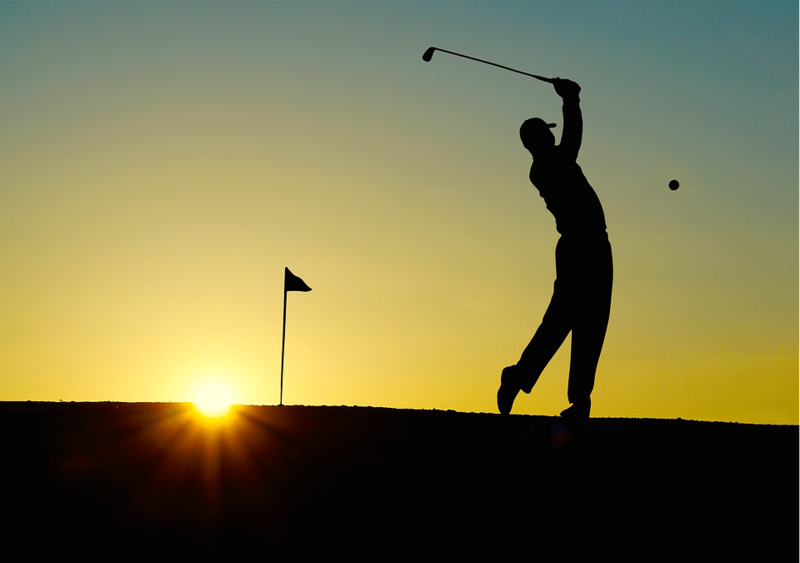 Off the tee the player must favor the right side of the fairway to get themselves positioned far enough off the tee to have a reasonable chance to reach the green. An aggressive tee sheet that is too far to the left, will find the hazard while a tee shot too far right could be blocked out by a large pine tree. If you are good enough to hit a tee shot in a position to go at the green, you still have to negotiate the hazard that runs along the entire right side to the green, as well as a deep green side bunker and massive tree to the left of the green. Once you have reached the putting surface you will need to negotiate a very severely sloping green from back to front, without a flat spot on this green it is just as likely to 3-putt as it is to 2-putt. Do your best to escape this hole without too big of a number on your card. Hole #16 West Par 5 – Par 5’s on a lot of golf courses are the holes in which many players see as birdie opportunities, however the Pearl West has 2 par 5’s on the back nine (we will discuss #14 later on this list) that a bogey is just as likely as a birdie or par. This long Par 5 requires a tee shot to be threaded between the hazard of the Calabash River, which runs the length of this 600 yard hole, and a thickly wooded area to the left of the fairway, that will force most shots to be punched back into play. The second shot on this hole may be one of the most daunting shots on the Grand Strand. There are many tall pines that overhang the left side of the fairway which forces the player to hit the shot out to the right towards the river. The aggressive player will try to hit a ball curving to the left into a blind landing area. If you do not curve it enough it is very easy to find the fairway bunker on the right, or see your ball splash down in the river. Approaches to the green need to avoid the bunkers to the left and right. The green is another that has a steep slope from back to front, it’s imperative to position your ball below the hole to have a obtainable putt. Hole #7 East Par 4 – This is the last of the murderers row of holes on the front nine of the East Course. This dog leg right par 4 requires a perfectly placed tee shot that makes it past the corner of the dog leg. Anything short or right will be blocked out by tall pines. Worst yet, would be short and right which will put you in a fairway bunker in which the only option is a pitch out. If the tee shot is too long through the fairway or too far left you will find yourself in some heavy rough and having to deal with more pine trees. The green is guarded by bunkers short and right and on the left side. This is another severely sloped green that you will need to be below the hole on to have any chance of making a putt. Hole #5 West Par 4 – The number one handicap hole on the West golf course #5 is a tight and tricky hole off the tee. The fairway is narrow with a heavily wooded area coming into play on any shot just a few yards right of the fairway. If the player decides to go left off of the tee, they must avoid the water that comes into play right at the landing area. If you avoid the water, you must then also avoid the bunker just inside the hazard. The green has a ridge that runs through the center of it and if you find yourself putting from the wrong side of it, you will be hard pressed to make your two putt. Hole #4 East Par 4 – This is the first hole of the murders row of holes on The East course. Hole #4 is a sharp dog leg to the left. An aggressive tee shot towards the 150 yard marker has to flirt dangerously with the pine trees lining the left of the fairway. Anything short or left into the trees will require the player to punch back out into play. Players taking a more conservative route off of the tee will need to stay short of the fairway bunker and leave themselves a mid iron into the green. If the pin is on the front of the green be sure to stay below the pin as the front portion of the green has the most severe slope back to front. Hole #2 West Par 3 – The first par 3 on The West Course is a daunting one. The tee shot requires a carry over water with a mid iron to reach the green. The green is guarded by a big deep bunker short and right of the green. Anything going left of the green will be lucky if it finds the bunker to the left of the green, or it will be in the hazard. This is a fairly large green on The Pearl Golf Course, but there are not many flat spots which makes putting a bit tricky. Most players will be happy to walk off this green with a 4 on their card. Hole #18 East Par 5 – Be sure to save some energy to tackle this bear of a finishing hole on The East Course. Don’t let the beauty of the surrounding wetlands distract you off the tee box, as you will be required to hit a long and accurate tee ball in order to score on this hole. The fairway is pretty generous but anything hit left of the fairway will bound left towards the hazard; favor the right center portion of the fairway for the best angle to lay up. Be careful with your lay up as the water on the left will come into play. The third shot into the green is uphill and the player will not be able to see the back half of the green. Shots landing from the middle of the greenback have a tendency to roll on through and off the back of this green. Finish your round with a par here and you have accomplished something. Hole #14 West Par 5 – This hole makes the list based on shear length. From the tips this hole stretches out to 614 yards from the back tees and the prevailing wind is typically in your face. To make things a bit more challenging, there is a large tree smack dab in the middle of this fairway that players will need to maneuver around with their second shots. Two good shots here will leave you with a middle to short iron into the green. Be sure to hit enough club into the green as the pond that sits in front of the green will get plenty of action. Hole #16 East Par 4 – It may surprise some people to see a par 4 that measures a mere 364 yards from the championship tees to be listed among the toughest holes. Once you play this tricky little hole you will understand why! From the tee box it looks like all you need to hit is a middle iron to get to the 150 marker, which is about all it is, however if you lay up to the 150 marker you will not have a direct shot to the green. The hole is a 90 degree dog leg to the right with towering pines guarding the entire right side to about 130 yards. Smart players will favor the left side of the fairway, but must be careful as it runs out of room quickly and you may find yourself in some thick rough. Staying in this small fairway is imperative because you will need to be very precise with your approach to the green. This green is shaped like an upside down soup bowl, shots not hit to the proper place will pay the price. Any shot landing past the middle of the green without enough backspin to stop it, will likely end up in the marsh behind this green. Hole #8 West Par 3 – The penultimate hole on the front side of the West Course can stretch out to 225 yards. This hole on The Pearl Golf Course will play into the wind on most days making it play even longer. Take caution when stepping onto this tee box as it will try to steer you to aim right of the green. Most players will come up short of this green which is the best play to play from but if you miss it left, right or long getting up and down for par will be a tall task. Come on out and play a great game of golf at The Pearl Golf Course! Our greens are pristine and the weather is awesome! See you at The Pearl Golf Links!